When you look on the map, Coober Pedy lies literally in the middle of nowhere. The town in Australian Outback is partially built underground and is known as Opal Capital of the World. It is also a traditional stop for road trippers on the way to Uluru and Red Center overall. There is something a bit unreal about Coober Pedy. The town has its unmistakable atmosphere which is hard to define, and the only way how to get the sense of the place is to visit it as no picture will do the job. Quirky, haunted, bizarre but in a positive way. This place is full of abandoned and rusting strange things you would never expect to see in the inhabited area. The ground is red-hot, and the scorching air mixed with the dust is hard to breathe. The outback position and permanent inhabitants who decided to live mostly in houses they built underground and who devoted their lives to opal mining make Coober Pedy outstanding and incomparable with any other towns we've visited before. A feeling of the remoteness was even more intense when we realized the fact that the closest bigger cities are Adelaide to the south(876 km) or Alice Springs to the north (689 km). The town is right on the Stuart Highway and is hard to miss when on the way to Red Center's highlight, Uluru (read our Uluru Ultimate Guide HERE). The old Opal Noodling Blower Truck on a pedestal announces you reached the destination. As this part of Australia has a desert climate, there was no permanent settlement until 1915 when the first opal was accidentally found by people searching for gold. 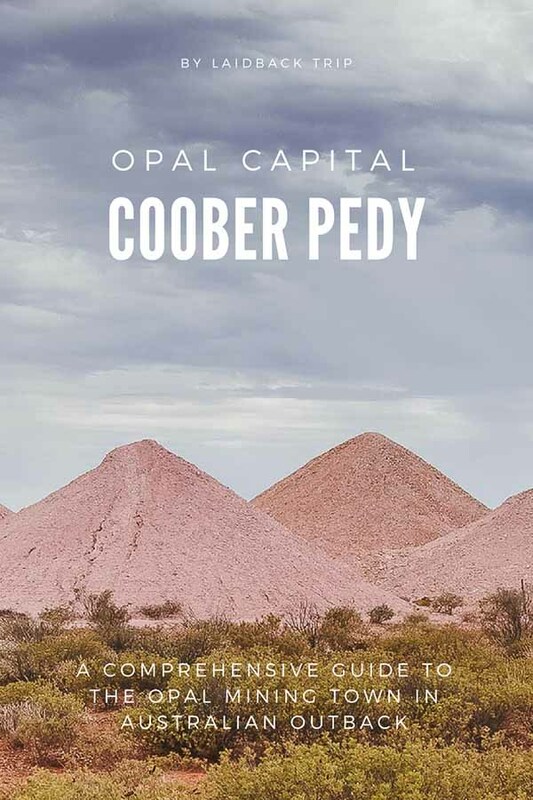 Since then, Coober Pedy grew, lots of workers from all over the world came and went to seek for their opal fortune, and nowadays the town lives equally from opal mining (it is the world's largest opal mining area), and tourism industry which goes hand in hand. Weather conditions in the region are harsh. The rainfall is minimal (occasional dust storms occur), and temperatures between November and March usually reach 40°C in the shadow. That's why residents started to build their homes and other facilities underground to hide away the heat. The rest of a year receives mild temperatures about 20°C but desert nights are cold. You can enjoy the night in one of the underground hotels in the town, for best rates, click HERE. Thanks to its unique landscape, the town attracts filmmakers, film producers and photographers. You can play golf here, but the playground probably cannot be called "green" as there is no grass growing on it. Instead, you can play with glowing balls because it is preferred to play at night to avoid the daily heat, which we found funny. Source of water is 24 km north of the town. Coober Pedy itself is worth to explore, but the whole flat, deserted area is extraordinary and when on the road trip, you shouldn't miss it. Well, under normal circumstances we couldn't list Lake Hart among attractions worth to see near Coober Pedy, but traveling in Australian is by no means standard. Distances are vast, and when you take this into consideration, you'll find out that Lake Hart, "only" 300 km before you reach Coober Pedy, is not that far at all. Once the site of a salt mine, the lake has light pinkish color, and you can see crystals of salt on its surface. When you drive 33 km north of Coober Pedy, don't miss this beautifully colored and geologically remarkable piece of land. 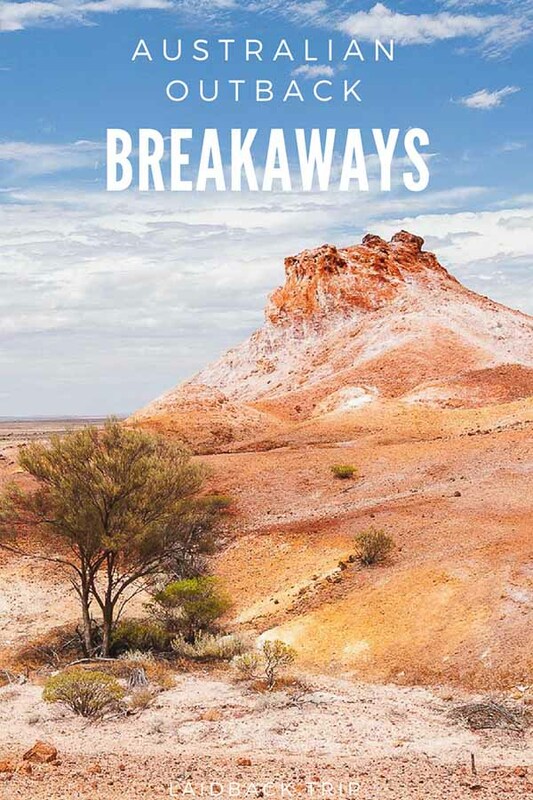 To get closer to Breakaways you must turn from the Stuart Highway and drive the last 10 km on the dirt road. We did not have an offroad car but got there without a problem anyway. Don't forget to pay a small admission in Visitor Information Center in Coober Pedy. Low colorful hills stand out above the endless arid plain which was unbelievably a vast inland sea 70 million years ago. The place is incredibly photogenic, but we couldn't stay longer than an hour as the hot weather became unbearable after a while. The church is not very old, was built only recently (in comparison with European churches) in 1993, but it is not a history which will impress you here. The Coober Pedy's most famous underground church has its deepest point 17 meters under the ground level, and its construction by carving to a sandstone took less than a year. A small donation ($5) at the entrance is required. If you're looking for a place to cool down, here's your chance. The self-guided tour shows the principle of opal mining, the hard life of miners in harsh conditions and also their way of living underground and even though it doesn't look spectacular from the outside, we truly enjoyed it. You'll get a helmet at the entrance and can explore underground tunnels and also buy opal jewelry as a souvenir at the end. Drive up or walk up to enjoy 360 degrees panorama view of surrounding alien-like area. It is not somehow awe-inspiring lookout, but it gives you an idea of the town from a different perspective. To find accommodation we used the app WikiCamps Australia and found a great although most likely unofficial camp at one's man garden only for $5 per person. The cost of shower and wifi was in the rate, and he also gave us great tips and shared some stories about Coober Pedy. Had we not slept in our car, we would have for sure stayed in one of the underground hotels in Coober Pedy. You can find your perfect underground accommodation HERE.